Description: Deep rooted willows (DRW) are a great way to establish willows on eroding streambanks and challenging environments with erratic and limited hydrology. DRW plants are grown in either 15” or 30” deep pots for maximum rooting depth to ensure that plants can access falling water tables longer into the season when other plant types normally fail. Deep rooted willows can be installed throughout the growing season and do not have to be planted dormant, like traditional willow cuttings. DRW plants are typically planted on 3’ centers and can be planted vertically or horizontally into eroding banks and soil lifts to provide successful willow establishment. A well developed root system provides superior establishment to traditional dormant cuttings which can have less than 40 percent survival (Pezeshki and Shields 2006). 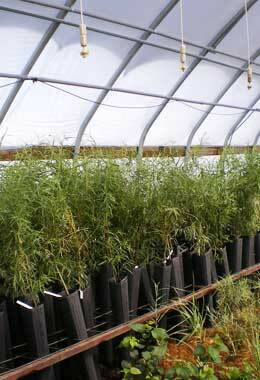 Custom grow or stock plant species are available.